It’s easy to desire, and easy to afford, the beautiful homes now being built at Summer Rain. 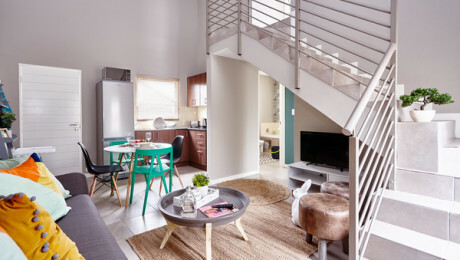 They offer many buying options – to suit every lifestyle, lifestage and budget. The “Luxury” homes are the top of the range choices for the discerning homeowner. The “Estate” homes represent a variety of sensible options for families wanting to buy into the advantages of estate living. If you’re dreaming of a home that’s big enough to suit your lifestyle but easy enough to maintain, here’s your wake-up call. Call 074 143 8348 now. Ask a consultant to call you back now! Upmarket freestanding home, ideal for a bigger family. 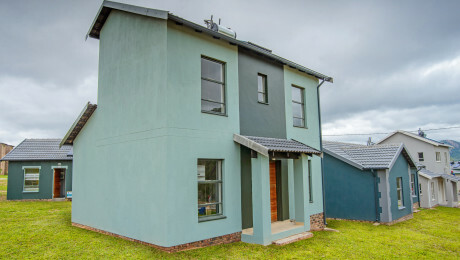 Designed for luxury living in an easy-flow room layout, this cottage has 3 bedrooms and 2 bathrooms, a full kitchen with under-counter oven and granite tops, open-plan living space – and of course, luxury finishes. Looking for space? Need the added benefits that only secure estate living offers? 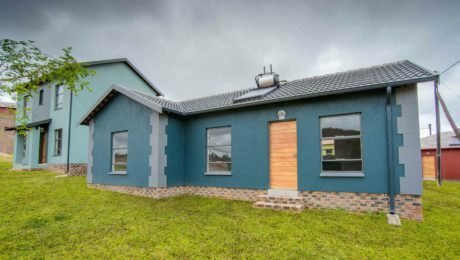 This 3-bedroom, 2-bathroom bungalow is presented complete with luxury finishes, full kitchen with under-counter oven and granite tops, a dining room and open-plan living space.